Finding the best foaming facial cleanser for men may not be quite as easy as it sounds because there are literally hundreds of skin care product companies out there, each offering several versions of what they claim to be the best foaming face cleanser for men. Still, many of the foaming face cleansers for men on the market today are filled with harsh chemicals that are simply not good for your skin. It may be hard to believe, but a good share of these products can dry out and irritate your skin and eyes, cause hormonal imbalances, increased acne breakouts and even premature wrinkles. What Do Men Want From An Effective Foaming Facial Cleanser? Help to heal skin damage caused by the sun and external toxins in the air. Leave their skin looking healthy, smooth and free of redness or irritation while helping keep those wrinkles at bay. 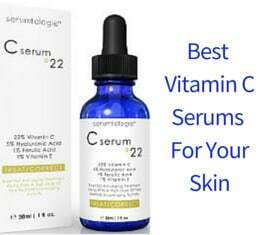 Help prevent acne, eczema and psoriasis breakouts. To do all that, you need to know exactly what ingredients to look for in a quality cleanser for men. 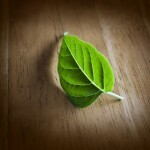 The first step is to start by ruling out those products that do not contain all natural or organic ingredients. In most cases, chemical ingredients that get absorbed through your skin and into your blood stream are more likely to cause health issues, dry out your skin and damage it overtime. Natural and organic ingredients, particularly those that are food based, are unlikely to damage your skin or your health. So, the first step in finding a suitable cleanser is to go as organic and natural as possible. Either one of these ingredients are worth having in a face wash. Both sea salt and oatmeal are natural ingredients that work to exfoliate the skin, removing dead cells and giving you a brighter cleaner look. Sea salt is great for men with coarse skin that does not have a tendency to be dry while oatmeal is less drying for those men who have more normal or even dry skin to begin with. A facial cleanser that contains witch hazel, helps to deep clean pores, removing grime left behind by other cleaning agents and works as an anti-stringent to help prevent acne and leave your face feeling really clean. If your facial cleanser doesn’t contain this ingredient, you can use it separately after washing your face. Chamomile is a flowering herb that when used in tea, it helps to calm and relax. When combined in a foaming facial wash, this herb can sooth inflamed skin and help reduce acne, eczema and psoriasis breakouts. Honey has long been used in facial products because it has some antibacterial properties and helps to soften and soothe skin while holding in the skin’s natural moisture. Especially Manuka honey is rich in vitamins, natural proteins and minerals that nourish your skin. Glycerin is a clear colorless moisturizer that helps to soften skin and prevent dryness. While everyone is going to see the signs of aging sooner or later, finding a foaming cleanser and other skin care products with the following ingredients can help your skin to stay younger looking for a longer period. 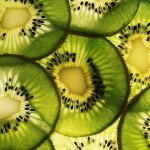 Kiwifruit extract is a strong anti-oxidant which helps reduce those free radicals which is one of the causes of aging. It also promotes the restoring of the natural skin pH while cleansing and leaves your skin feeling refreshed. Phytessence wakame is a Japanese sea kelp which is excellent at improving the amount of Hyaluronic acid in your skin. 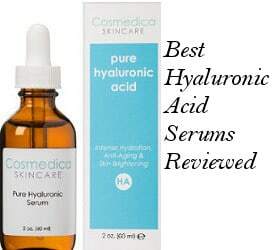 Hyaluronic acid helps to bond the collagen and elastin as well as helping your skin become more elastic, which helps to keep those wrinkles at bay. Co Q10 is an ingredient that is naturally made by the body. However, as we age we make less of this coenzyme, which results in reduced collagen and elastin production. CoQ10 is also a powerful anti-oxidant, which means that this ingredient can be quite effective at fighting the signs of aging. A foaming facial cleanser which actually combines most of the above ingredients is Xtend Life foaming facial cleanser for men. Xtend life is a company in New Zealand well known for its expertise in creating health natural supplements which is also into creating natural skin care products for both men and women. According to the company’s claims, their foaming facial cleanser cleanses the skin while also keeping it adequately moisturized. It also restores the natural pH balance and protects from the damage of free radicals which are responsible, among others, for the skin’s aging. 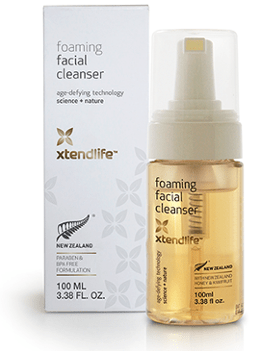 The conclusion whether this product s one of the best foaming facial cleansers on the market today is completely yours but keep in mind that Xtend Life provides you with a generous 1 Year full Money back Guarantee if you are not completely satisfied with the product, no questions asked. EltaMD Foaming Facial Cleanser is a gentle foaming cleanser that is reviewed very well by users. 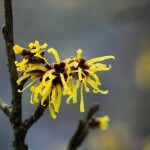 According to the company, it can be used even on sensitive skin because of its ingredients. It is oil, paraben free and ph balanced, containing a bromelain and apple amino acid blend which allows you to use it daily to remove impurities and deep cleanse your face. 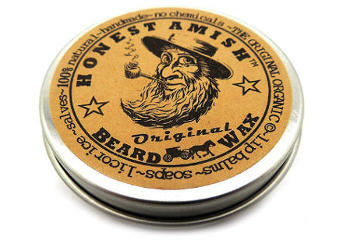 Its rich foam rinses off easily, leaving the skin smooth, soft and refreshed without stripping the skin’s natural oils. It is suitable for all types of skin and has a nice fresh scent which disappears very quickly. Some people have mentioned that this foaming cleanser was suggested by their dermatologist and state that they are very pleased with its performance. The only complaint mentioned by a few users was that the dispenser produces a small clog which you have to wash away and the then the dispenser works perfectly well. Shiseido Men Cleansing Foam Cleanser for Men is reviewed very positively by men who have used it. Interestingly enough, it is suggested by the company to be used also as a shaving foam. It is a light scented product which lathers nicely, leaving skin feeling fresh and clean. A pro of this cleanser which most of the users mention is that it lasts quite long, like 6, 8 or even 14 months. One of the reasons for that is that you only need to use a bit to get a proper cleanse. In conclusion, this is a selection of good foaming facial cleansers for men which are also positively reviewed by users.